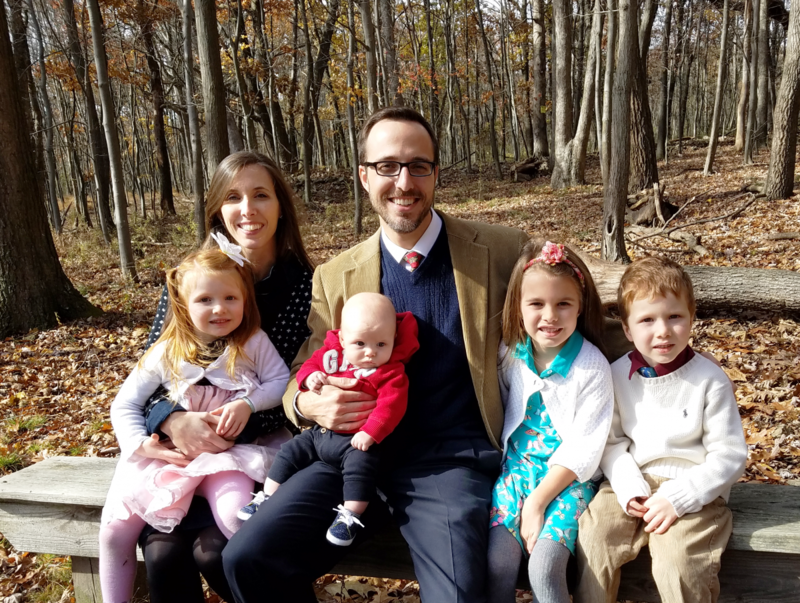 Pastor Chad Mullinix just recently arrived in Hollidaysburg (Fall 2018) with his family in order to serve as the pastor of Westminster Presbyterian Church. This has felt a bit like “coming home” for him, because Pennsylvania is where he was raised and eventually attended seminary in order to prepare for pastoral ministry. Chad grew up in a Christian family in south-central PA and was taught the gospel from his very earliest years. He remains grateful today for how God graciously used ordinary means like the Bible and believing parents who instructed him and took him to church to help him understand the gospel and his personal need of Jesus Christ. Somewhat unbeknownst to him at the time, the Lord used a variety of events to pave the way for him to serve as a minister of the gospel. The seeds for future ministry were planted during a number of summer mission trips to the Ukraine during high school and college. Then after receiving his college degree in biblical studies and history (2005), he married Katie and began serving as an intern of a Presbyterian church (PCA) on the gulf coast of Florida. The internship whetted his appetite for more serious studies at Westminster Theological Seminary in Philadelphia where he received a Masters of Divinity (2010) and continued serving in the local church. After seminary, Chad served for seven years (2011-2018) as a church planter and the pastor of Holy Trinity Presbyterian Church (OPC) in south Florida. The Mullinix family is delighted and humbled by the opportunity to continue serving in Christ’s kingdom here in central Pennsylvania. Chad and Katie have been married since 2005 and have four children – Coletta, Levi, Eliza and Jesse. You may contact Pastor Mullinix at pastor@hollidaysburgopc.org. or call the office at (814) 944-8642. See our Calendar of Upcoming Events and Worship times.